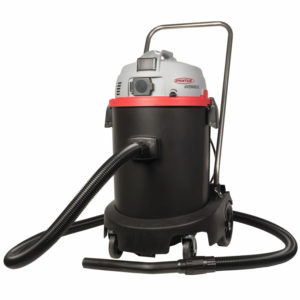 Innovative wet/dry vacuum with many extras and high performance. The successful WATERKING series has been extended with the new “XL” in the 45-litres range. Previous benefits have been retained and selectively enhanced to make the WATERKING XL the ideal companion for thorough cleaning. 260mbar vacuum at 70l/sec airflow combined with 450 mm wide floor nozzles ensure sufficient performance and perfect results at all times. 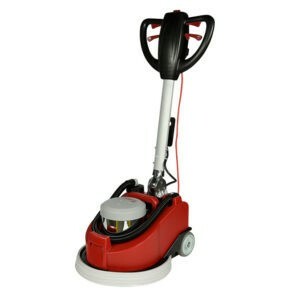 The innovative locking brake on the sturdy chassis prevents the vacuum cleaner from rolling away during use. The large easy-to-remove push bar permits comfortable handling and easy transport. With the standard drain hose, accumulated dirt is washed away leaving no residue.The mechanical vacuum power control permits the optimum level for any surface. 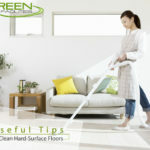 A powerful electrical outlet enables the use of additional cleaning tools directly through the vacuum cleaner. 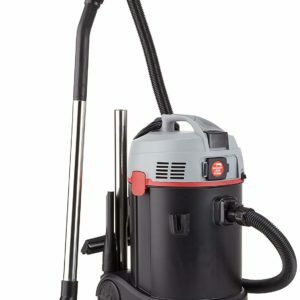 Optimal handling with accessory storage, cord rewind, locking brake and ergonomic handle make the vacuum cleaner fit for daily, professional use. The new ZEUS single disc floor cleaner is a masterpiece of ergonomics and innovation for the challenging, professional cleaning of hard surfaces and textile floor coverings. Uniquely, the 10 litres fresh water tank sits directly on the machine and therefore ensures an optimum contact pressure, easy handling and perfect cleaning results. The user can remove the tank in just a single action, and work efficiently beneath objects or in edge zones thanks to the low ground clearance of just 10 cm. The standard convenient plus point: The fresh water tank, equipped with a stretch hose, can be simply topped up with water directly at the tap. With its racy and powerful 1,500 Watt motor and the maintenance-free steel planetary gearing with 175 rpm, the ZEUS is extremely powerful and yet incredibly quiet. It is easy to operate and also enables inexperienced users to work safely, in an energy-efficient and fatigue-free manner. Added to this, it is simple to transport and space-saving when stored, because the shaft can simply be folded down fully. If necessary, the Zeus can be flexibly upgraded from a 54 kg net weight to a maximum 64 kg. Thanks to the special latching element, brushes and discs can be switched in seconds without tools. The new Zeus offers the maximum in quality, reliability and durability, and frequently proves to be a smart solution provider in everyday work. Discover the new EVO generation with maximum performance at a minimum of operating costs! Save time and money by using the T11 EVO. Due to the enormous performance, the high container volume of 9 litres net and the bagless filter system which is usable with filter-bags as well, you are very well equipped for long operating- periods and efficient work at an optimum of operating costs. The economical 700 watt engine with a low noise level has sufficient power-reserves and is individually adjustable to all surfaces, through the built-in performance regulation. Easy emptying, two parking positions, four accessory slots, all-around elastic bumpers, 13 m activity radius, switchable Combi nozzle, high-quality aluminum suction tubes, hard-wearing suction hose, one-handed transportation, latest fleece filter technology, and the unique lockable cable hook complete the profile of the T11 EVO. 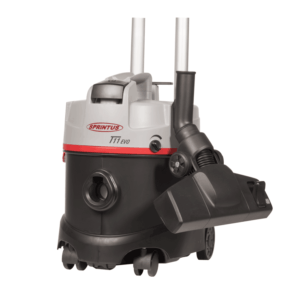 The T11 EVO with all its practical details and innovations fulfills all standards of a professional and modern vacuum cleaner. 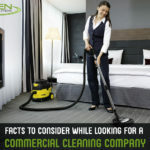 What to Look For While Hiring a Commercial Cleaning Company?